One world-class Caribbean setting is going to become even more unrivaled starting in summer 2019. That’s when Half Moon Bay Antigua, a low-density, 132-acre resort, is slated to begin construction in Antigua, the favorite vacation destination of Princess Diana and Whitney Houston, and the haunt of tycoons like Richard Branson and Georgio Armani. From developer Replay Destinations, Half Moon Bay Antigua will feature a brand new Rosewood Hotel, an exclusive enclave of 10 villa plots listed from $10 to $25 million and 42 Rosewood-branded villa residences bearing pricetags from $3.5 to $15 million. It’s all being developed on the estate that includes three acres once owned by late tastemaker Rachel “Bunny” Mellon. William Anderson, CEO of Half Moon Bay Antigua has developed, managed and marketed an array of the planet’s most superlative residential resorts. They include The Wakaya Club & Spa on Wakaya Island, Fiji; Jumby Bay in Antigua; and Miraval Arizona Resort & Spa in Tucson, Ariz. The Replay Destinations team is delivering to Antigua everything from an amphitheater, biodynamic farm and social and kids clubs to highly acclaimed top chefs. For many years, Mellon had owned 27 acres on Antigua with three acres left undeveloped at the planned site of Half Moon Bay Antiqua. Today, the three-acre peninsula plot, known as the Mellon Estate, is available to develop for the first time in 50 years. Known as the crown jewel of the estate lots being listed at $25M, the Mellon Estate is drawing interested purchasers from the ranks of the one percent. 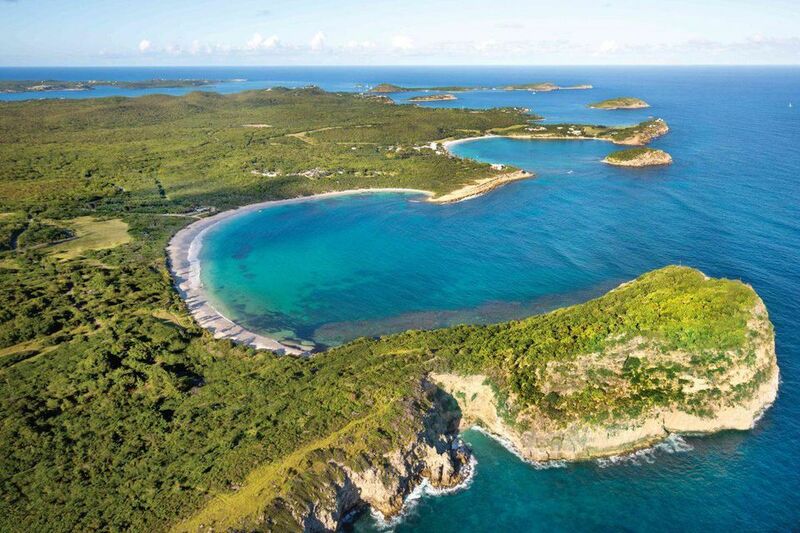 Antigua tallied multiple $20 million sales in 2017, and those acquisitions have helped spur high-net worth purchasers in New York City and London to investigate not only owning island land in general, but very specifically owning at Half Moon Bay Antigua. Celebrated Amsterdam-based design firm Studio Piet Boon has been tapped to lead the design of Half Moon Bay Antigua. The firm will unveil a fresh, subdued, contemporary design that pays homage to time-honored Caribbean architectural sensibilities, while at the same time investing designs with a modern, decidedly environmental look. Studio Piet Boon will lead the overall architectural and interior conception for the Rosewood Residences, as well as the interior design for the new Rosewood Half Moon Bay. One of the most notable features of Half Moon Bay Antigua will be its location adjacent to a 27-acre national park. When the resort opens in 2021, guests will be able to not only explore that spectacular natural setting, but also avail themselves of a curated selection of distinctive activities, from exploring biking and walking trails to taking part in interactive guided experiences tailored to everyone from families to adventure travelers. "Conceived and orchestrated by a masterful team of designers and rooted in Caribbean history, Half Moon Bay Antigua will redefine the Caribbean paradigm by introducing a new level of ultra-luxury that will resonate with our discerning international clientèle,” Anderson says.